Saint-Cyprien is a dynamic and discerning seaside resort. For many years, the town has made it a point of honour to offer locals and holidaymakers the best possible living environment in partnership with many providers of accommodation, food and leisure, themselves certified as "Qualité Sud de France" and "Famille Plus". The 6 kilometers of beach have been awarded Blue Flag status since 1993, which ensures perfectly clean bathing water and supervised beaches which are cleaned daily. The Saint-Cyprien Tourist Office is committed to a Quality approach. As such its commitments to the public, partners and professionals are defined by actions relating to brands and trademarks, demonstrating the quality of its services in order to obtain an overall client satisfaction rating. The Tourist Office is classified by Prefectural Order as Category I. This category I status corresponds to the former 4-star classification and reflects the professionalism of all staff and the services offered. Learn more about Category I classification. Holiday advisors at your disposal to greet you in the reception area and provide easily accessible information. Making every effort to facilitate your requests. Inviting you to make use of the seating area to consult documentation. Offering you free information about local tourist products. Displaying and distributing our opening hours which are tailored to your needs. By facilitating your access to tourist information and free access to WIFI. By opening more than 305 days a year including Saturday and Sunday during high season. By responding all year round to your messages. By providing a full time reception service run by staff conversant in at least two foreign languages. By providing free maps, plans and tourist guides. By updating in real time the website www.tourisme-saint-cyprien.com, available for consultation in French, English, Dutch and Spanish. This site is completely mobile friendly. By inviting you to join us on social media networks: Facebook, Twitter, Instagram, Pinterest, Youtube. Tourist information is distributed in paper format and by download. Emergency phone numbers are displayed outside the office. Tourism products relevant to Saint-Cyprien are presented. Your search for accommodation is facilitated by accessing availability on the website and the ability to book online. By assessing the quality of our reception in order to improve. By processing your grievances and keeping track of them. By measuring your satisfaction level through customer surveys. Implemented by the Ministry of Tourism, the Qualité Tourisme brand is the ambassador for the national approach to maintaining France as the world's leading tourist destination. This trademark has been awarded to the town of Saint-Cyprien whose quality approach meets the rigorous criteria of the Quality Tourism Plan. Being involved in sustainable development and preservation of the environment. Find more information on Qualité Sud de France. "Famille Plus", the guarantee of a successful family holiday, whatever your destination! Recognised by the Ministry of Tourism, Famille Plus values municipalities who have taken a comprehensive approach to welcoming families with children from 3 to12 years old. Saint-Cyprien has been committed to the well-being of children for many years and has grouped many holiday providers around its family policy which for more than ten years has aimed to optimally meet the expectations of families. Discover events reserved for children and their families. Download the guide for parents and the Petit Cyprien booklet for the young . A reception customised to families. Events adapted for all ages. From young to old: rates for everyone. Activities for young and old, to experience together or separately. Children supervised by our professionals. Find further information about Famille Plus. Download the list of certified service providerss (accommodation, restaurants, activities and sports). This voluntary initiative is part of a policy of entitlement to holidays for all: the tourist office has obtained certification for the four main subjects (mobility, hearing, sight and psychological). Learn more about Tourism & Reduced mobility. This certification meets defined criteria to welcome people with reduced mobility. The Pont Tournant and Maillol beaches have obtained Level 2 Handiplage certification for the following equipment: tiralo, changing rooms, a pathway to access the water, an accessible shower and toilet, a first aid station and a supervised beach. For more information about Handiplage. This trademark distinguishes and values French municipalities and pleasure ports that meet the criteria of excellence for the overall management of their environment. Saint-Cyprien has been awarded this trademark since 1991 as well as the awarding of the European Blue Flag continuously since 1993, the "Blue Flag of Ports and Beaches" meets rigorous selection criteria in terms of protection and awareness of the environment. 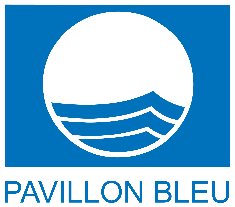 Learn more about Pavillon Bleu.